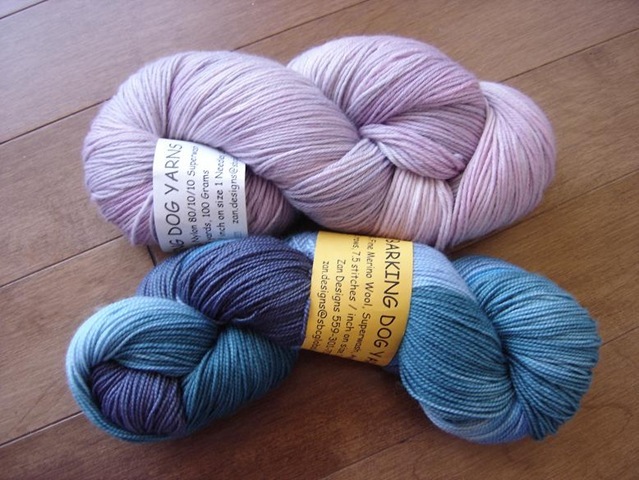 I was lucky enough to win a pattern and yarn draw a few weeks ago from Hunter Hammersen over at Violently Domestic... which included a fantastic free skein of 100% Merino Squishable goodness from Barking Dog Yarns. 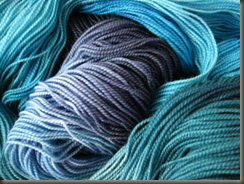 When I found out I had won a skein, I thought that this would be a perfect time to order another skein too (as a test, you know, erm, to see what the rest of her stuff was like! as if I need a reason to buy more yarn at this point) So I also ordered a skein of her Cashmere / Merino Blend. I love the colors! It was really hard to decide! Above: Rune Merino Cashmere Nylon 80/10/10 in "Oklahoma Rose"
Below: Sirius 100% Fine Merino Superwash in "Sky Pirate"
The first thing I noticed when I picked up the envelope/baggie the yarns came in was how light and soft the yarn was. In true Jobo Fashion, I could not wait the 30 second drive from the mailbox to the house to tear into the package. I knew what it was, and I wanted it open NOW. This yarn did not disappoint! The pinks and purples are so soft and girly - the cashmere is so soft and lovely. 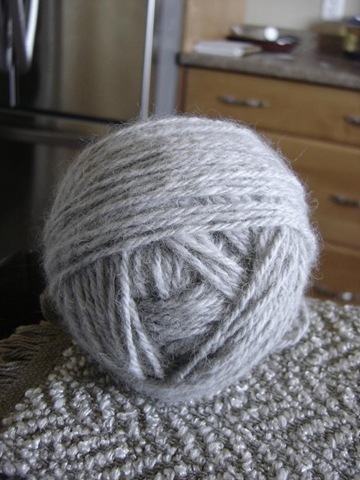 No doubt about it, this skein MUST become a shawl or scarf of some kind. It needs to be close to the skin. The vibrant blues and purples of "Sky Pirate" are difficult to photograph and even lovelier in person. They remind me of the Caribbean ocean with it's teal and blue waters, with some indigo and violet shadows. I will have to make the most special pair of socks yet to do it justice!